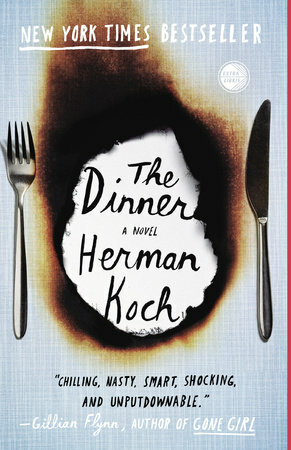 Herman Koch's The Dinner is one of those novels that takes place entirely in one evening (throughout a family dinner!). I LOVE books written in this format since they're usually relatively fast-paced. Let me say that The Dinner is excellent -- I breezed through this novel in just under two days, and you will, too! The novel opens with narrator Paul Lohman arriving at a fancy restaurant with his wife, Claire. The couple has plans to meet with Paul's annoying, high-maintenance politician brother Serge and his wife Babette. Both couples have 15-year-old sons who are best friends; but, unfortunately, both teens have committed a horrible, unspeakable crime that could land the boys in jail for the rest of their lives. The purpose of the dinner is to discuss how the matter should be handled, and for both couples to come to an agreement about their son's futures.